With the running of the $250,000 Group 1 Livamol Classic at Hastings this Saturday, it brings back very fond memories of arguably one of Waikato Stud’s top class race mares Legs. I apologise if parts of this are ‘self-indulgent’, but she was a real favourite of mine! My love of the dual Group 1 winner began on the 25th October 2002 – the day she was born. Her dam River Century, a Stakes-placed daughter of Centaine decided to do the right thing and foaled during the day (most mares foal at night). She produced a very nice filly from the second crop of resident stallion Pins. Although attending 100’s of foalings, there was something different about this foal – maybe it was her pedigree that really appealed to me. Working on the farm, we all had favourites and the Pins x River Century was mine. Any time they had to be brought in from the paddock to be shod, drenched etc I would always make sure I took her (she was very quiet). Unfortunately, she developed a small lump at the back of her hamstring, so she became a ‘keeper filly’ – these are fillies that Garry and Mark Chittick selected to keep and race before joining the broodmare band. After the 2004 yearlings went off to Karaka, the River Century filly was taken across the road to Courtza Park and began her career as a racehorse under the care of Jeanann Hercock and her daughter Kate. I would often ask Garry how she was going and reading between the lines, I got the opinion she was only fair. One day Garry came into the office after the reports on her ability were a little more positive. He also said that we had to come up for a name with her. I also thought if I ever had a Pins filly, I would like to name her ‘Legs’ as pins is a slang term for legs. With the unlikelihood of me ever being able to afford a Pins filly, I was happy to give up my name. The paperwork was submitted, and the Pins x River Century was named Legs. 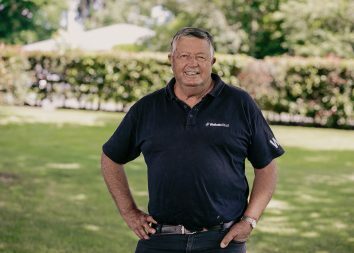 After her initial education at Courtza Park, Legs was sent down to longtime supporter of Waikato Stud in Kevin Gray at Waverley (he has since moved to Palmerston North). After winning her initial trial, she was unplaced in her second trial but Kevin knew she was ready to go to the races. This was a Sunday meeting at Waverley. From memory she started favourite and with David Walker aboard, she settled back in the field but once he got her clear at the top of the straight, she charged home to win convincingly by over two lengths. So impressive was her victory, Kevin decided to back her up six days later in the Group 3 Eulogy Stakes at Manawatu. This was a very big ask going from a Waverley maiden to a Group 3, against some of the best 3YO fillies in the country, in the space of a week and she was going from 1200m to 1600m. Again with David Walker aboard, she settled back in the field before producing a big finish, just outlasting the favourite Markisa. To do what she did here, it was evident that she was a very, very good filly. Given a month between runs, she finished third behind Out Of Align over 1400m at Manawatu before being set for the Group 3 Desert Gold Stakes at Wellington on Cup Day. With yearling parades in full force at Karaka, I actually missed watching this race. I do remember the cheering from the Waikato tent getting louder, then the cheer from the Highview tent (who were supporting Out Of Align) starting so I knew it must have been close – Legs went down by a long neck. Following this race, Kevin Gray plotted a path towards the Group 1 NZ Oaks. After winning narrowly at New Plymouth over 1800m, she was unplaced on a ‘slow’ track in the Group 3 Lowland Stakes over 2100m at Trentham. I guess with question marks over her ability to stay, she was forgotten about in the market for the Oaks, starting about $15. Getting back onto a ‘good’ track, she was given a great ride by David Walker, shooting clear in the straight before holding on gamely to beat her old nemesis Out Of Align. Being a Group 1 Oaks winner, whatever happened from now on was a bonus! 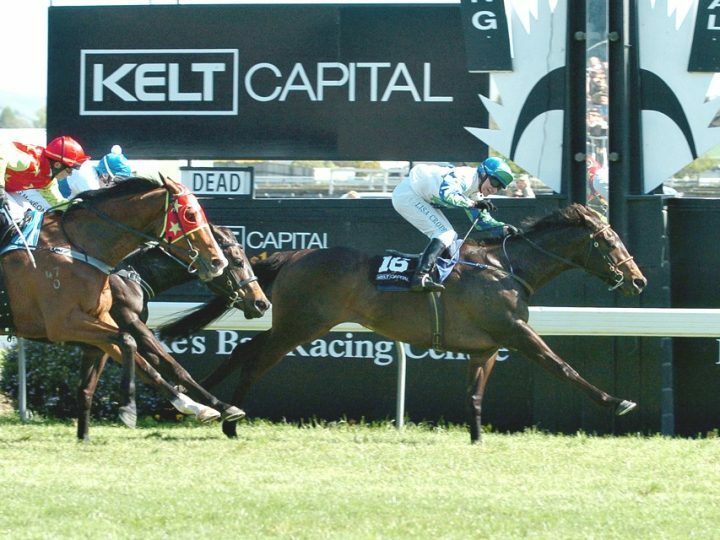 The decision was to bypass a crack at the AJC Oaks in Sydney and she was spelled with an eye towards the $1 million Kelt Capital Stakes (Livamol Classic). After a third placing on a heavy track at Otaki, she was beaten just over four lengths behind Seachange in both the two Group 1 races at Hastings over 1400m and 1600m, she was ready for New Zealand’s version of the Cox Plate – the Kelt which is run over the 2040m (same as the Cox Plate). With a big decision to make, David Walker rode Lilakyn for the sponsor, so Kevin booked the services of Lisa Cropp – what a ride she gave her! After being three back the fence for the majority of the race, she ‘hugged’ the rails coming around the turn before charging through the inside to claim victory by ¾ of a length from the O’Reilly gelding Kerry O’Reilly. She had now won twice at Group 1 level – an Oaks and Kelt Capital Stakes (NZ’s Cox Plate). She was to have one final start when running 6th behind Desert War in the Group 1 MacKinnon Stakes at Flemington on Derby Day. She was then retired to stud where she has produced Stakes winner Wolfwhistle and stakes-placed Scrutinize (2nd in the Group 2 Hawkes Bay Guineas). 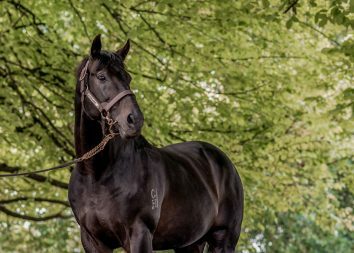 She is due to foal in early November to Champion sire Savabeel.